September | 2008 | Dare to Dream. Dare to Imagine. My entry for this week is late as we were out during the weekend. Better late than never. The first thing that came to mind when I saw this week’s theme was how we all differ in our views about life and the world around us. So I wanted to share the photo and message above. Our perspective on things is often limited to our learnings and experiences, and often it is just part and parcel of a bigger picture. It is not a complete and clear image of what life really is about. Photo taken at Boracay, 2005. The effect was a result of some moisture that built up on the lens due to the airconditioning of our room. PH#8. Photohuntin’ since August 2008. 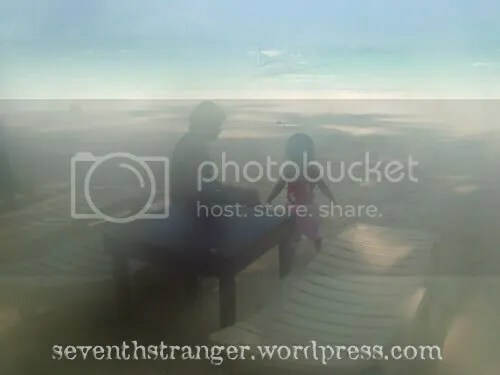 When stress, frustrations, anger and anxieties keep me awake and restless at night, one thing that pacifies me and settles my state of being is blogging (and reading other blogs). Yes, it is an outlet. I forget about the stress of obligations, projects to do and schedules to meet. I cool down effortlessly after a bout of anger and frustration. I can momentarily let go of all anxieties and worries. Flashback. Eight years ago. These photos bring memories to the days when I used to travel a lot. 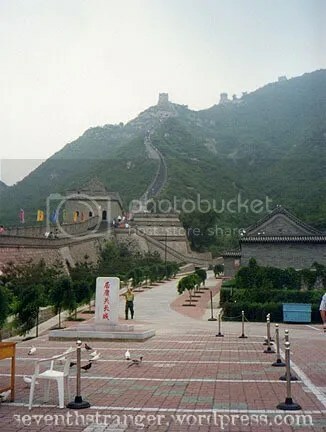 The first photo shows a very empty road (except for that one person standing) leading to the some side stairs going to the actual stairway in the Great Wall of China. Or at least that is how I remember it. 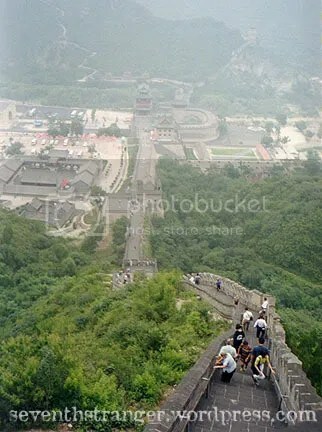 I recall we took a different path so we could climb the Great Wall. Oh boy, was it really some climb! I didn’t even make it to the peak or last tower. Some of my friends did, and it took them very long. I didn’t even manage to make it halfway as my thighs started to get cramps already. I found it hard to go up since the steps are uneven and some quite steep. PH#7. Photohuntin’ since August 2008. ♦ Have a video to finish by tomorrow. ♦ Will be starting our first session of a scheduled community seminar on Thursday, where hubby and I are tasked to be facilitators, and will run for nine weeks (every Thursday night). ♦ Have 100pcs of ordered invitations and tags to finish by end September (or preferably earlier). ♦ Have a booth design/layout to finalize by this week (not to mention, that includes doing a mock setup to check what else will be needed). ♦ Need to finish design of our calling cards, new product tags, tarps and booth signages for next month, so we can have them printed already as early as now. ♦ Have to canvas and shop for supplies lacking. ♦ Need to continuously create more product designs as we need to build up our stocks for the next months. ♦ Have a meeting this Saturday (as section representative of our daughter’s class) with the school’s parents association officers to start planning the Family Day in November. ♦ Need to get some Zzzzzzzzz! I wasn’t too glad about missing this week’s photohunt (wild)… but need to set my priorities. I love music. And I love playing my guitar. Sadly though, this eighteen-year-old guitar of mine (a gift from my parents when I was in high school) is starting to give up on me. First, the strings. 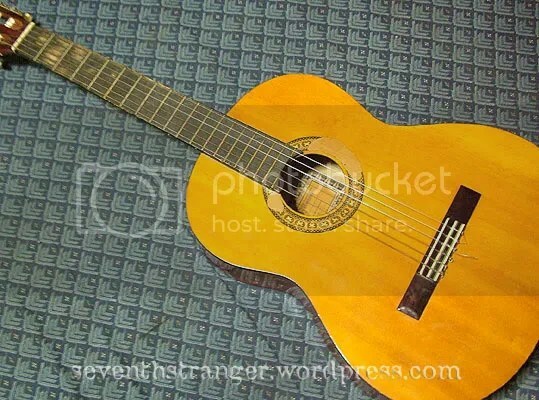 Then when I changed the strings, the next problem was the tuner. Oh well, perhaps it’s time to let go and let this one graduate. I’m still saving up for a new one. 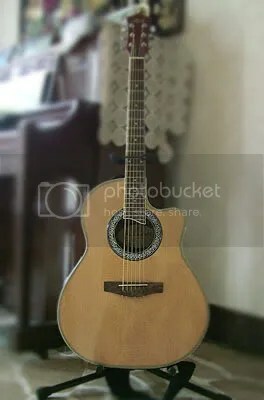 For now, I just have to deal missing playing my guitar. Sigh. Sigh. Sigh. PH#6. Photohuntin’ since August 2008. The “ber” months are here. And as early as this week, I have been hearing Christmas songs being played in malls. Yes, in this part of the world, retailers and media are pushing the festive spirit of Christmas to everyone once the first “ber” month sets in, that is September. For me, the onset of this month means extra “busy-ness”, and will further escalate as the holidays draw nearer. This year may be even busier as we are scheduled to join two bazaar events in the next two months. As early as now, we are in preparation. This, on top of the usual upcoming activities for Halloween, the holiday preparations which includes shopping for gifts, and the family gatherings when the holiday season finally comes. Most of the time it is fun, but at other times, it becomes too stressful that the holiday spirit seems to be lost in me and I just want to crawl under my pillows and blankets and have a quiet rendezvous with the Sandman. But it is that time of the year once again. We cannot escape it.